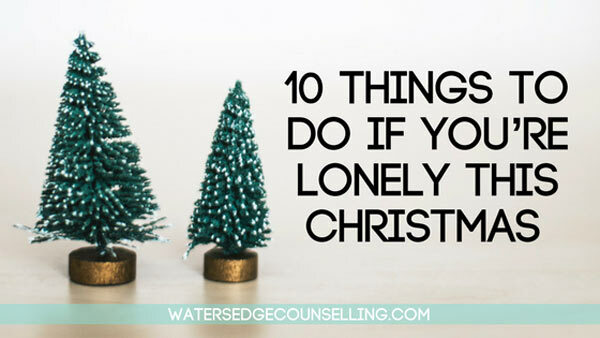 While Christmas is often called the ‘Happiest time of the year,’ for many people who are doing the holiday season alone, it actually leaves them feeling isolated and lonely. Maybe you don’t have any friends or family to celebrate with, you may not celebrate Christmas, or perhaps the stress of the season is all getting a bit too much? We thought we'd put together a list of 10 great ideas and activities that you might be interested in. Hopefully this will make the coming weeks all the more enjoyable, and something you’ll remember for years to come. There are plenty of opportunities to volunteer over the holiday season. If you’re lonely, go and help people and not only will you be in community, but you’ll feel great as well! If you just want a shake up or feel like you’ve lost the true meaning of the season, then contact your local church, charity or community centre and ask them if you can help out with a food drive, community dinner, or other activity. Mix up your day and become a tourist in your hometown. Go and see the major attractions, visit a shopping hot spot, take a historical tour or splurge and go on a coffee crawl for the day. You’ll distract yourself and have a wonderful time becoming reacquainted with your own city. If you’d like to feel festive on Christmas Eve or Christmas Day, going along to a community carols event is the perfect solution! Listen to your community radio station, read your local newspaper or call a near by church and see what they have on offer. There may also be New Years’ festivities open to the public that are being advertised. Check out what’s available and get along to see the fireworks. This time of year is perfect for becoming reacquainted with old friends and making peace with those you’ve had a falling out with. Call someone you haven’t spoken to for a while and wish them a Merry Christmas. Ask them about their year, their family and what 2016 holds. If you’re bored, head out and create an adventure for yourself by visiting the library, museum or art gallery. Take your time and enjoy the experience by visiting each section and appreciating what it has to offer. If there’s a café attached, bring a good book or buy one there and allow yourself to become engulfed in the environment after you’ve looked around for a few hours. The folks at Resilient App have come up with the great idea of putting together a Happy Box to soothe you when you are feeling down. Selecting objects like hand cream, a good book, M&M’s, bubble wrap (because who doesn’t like to pop bubbles?) or a scented candle and putting them in a box are all useful when you are feeling low or stressed. Make yourself a Happy Box over the holiday period and enjoy the long-term benefits of it in 2016. Treat yourself to a nice meal and a movie. Sometime it’s more fun going and doing these activities by yourself, so go and choose a restaurant you’ve been bursting to eat at and see a movie you know you’ll love. It could be a chick flick, or it could be Star Wars- it doesn’t matter. Just treat yourself to an evening of pampering. We’re all busy this time of year, but you’ll find people are happy to catch up for an hour over coffee. Choose a near by café and take the chance to catch up with your friend while enjoying some yummy food. You’ll leave feeling happy and contented knowing you’ve truly invested in an important relationship. Pick up that cross stitch you gave up on, research a course you can join in the new year, or watch YouTube tutorials on how to become a photographer. The sky is the limit when it comes to learning something new, so take the time to read, watch, learn and practice a new skill. In the New Year you’ll blow everyone away with your brilliant new talent! If you feel isolated this Christmas, one sure way of feeling less alone is by being generous. Lots of charities partner with major retail outlets over December to provide Christmas gifts to people doing it tough during the holiday season. Go to the Christmas tree in the centre of the store (like Kmart or Target), pick a tag and make it your mission to find a perfect gift for that person. Place it under the tree, and come Christmas you know that a parent, child, teen or a grandparent feels a little less alone this Christmas thanks to you.